Disclosure: This Good Day Chocolate Event was sponsored by Sprouts. 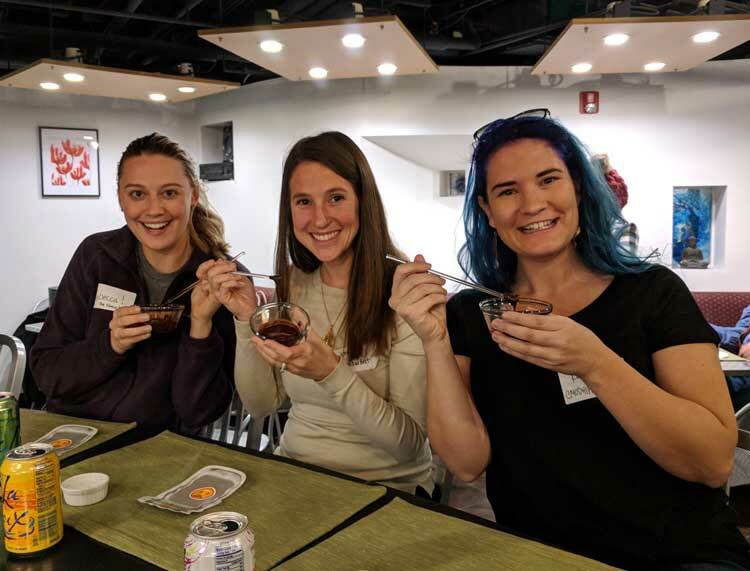 What happens when you gather a bunch of outgoing, talkative, (semi-loud) bloggers and mix them with chocolate? A very fun evening! But what if that wasn’t all… what if that chocolate was actually #chocolatewithbenefits and had caffeine in it? Then you have a night full of PURE craziness! Last night I spent the evening at the headquarters of Good Day Chocolates. If you don’t know who they are – they are those cute little boxes of candy coated caffeine chocolates that you find at natural food stores. They are usually found at checkout… and usually found in my purse. I first was introduced to them at a small local blogger conference called Blend, a couple years ago. Ever since then, I have been known to buy them while I am waiting to checkout during my shopping trips. They are great as a little pick me up. 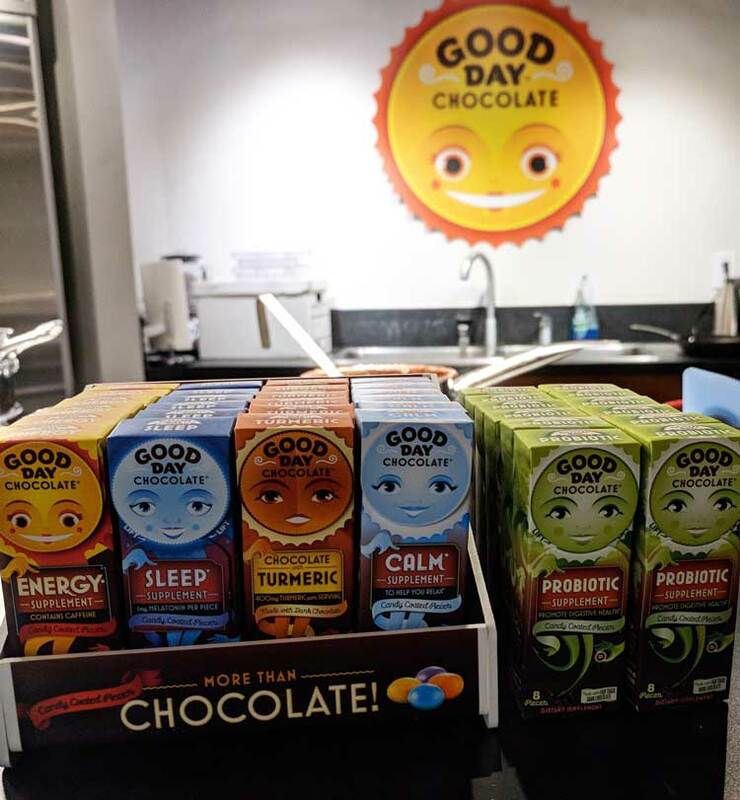 But it wasn’t until the evening I spent with Good Day Chocolates, that I discovered these chocolates were not only energy chocolates, but they actually have non-caffeinated chocolate like Sleep and Calm. 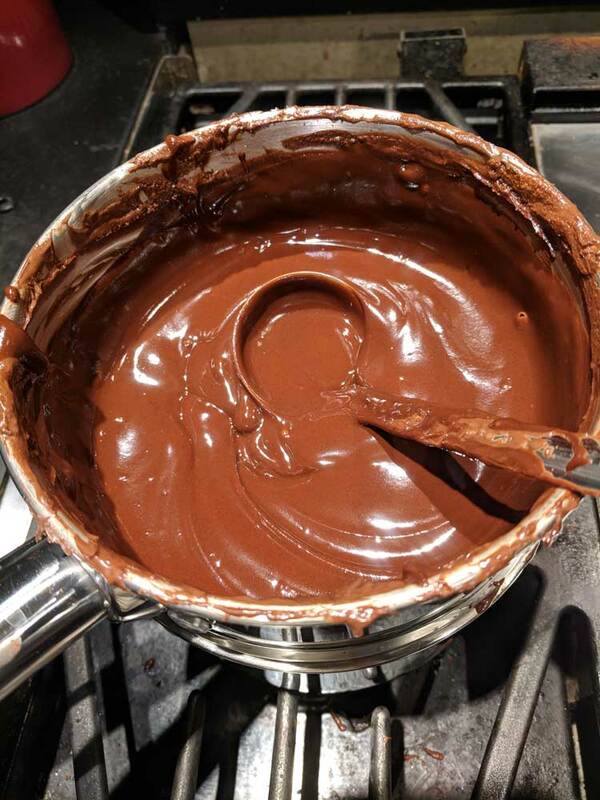 For instance, in the Good Day Chocolate Sleep there is 1mg of melatonin per piece which can encourage sleep (maximum dose of 4 pieces – otherwise it could have an opposite affect!). Then there is the Good Day Chocolates Calm. Instead of just for bedtime, the Calm Supplement is excellent for ridding stress and tension any time of the day! The GDC Calm Supplement is made of a proprietary blend of amino acids, vitamins & botanicals to make a relaxing non-drowsy* treat. I always love learning more about companies in which I already love. It only makes me love them more. 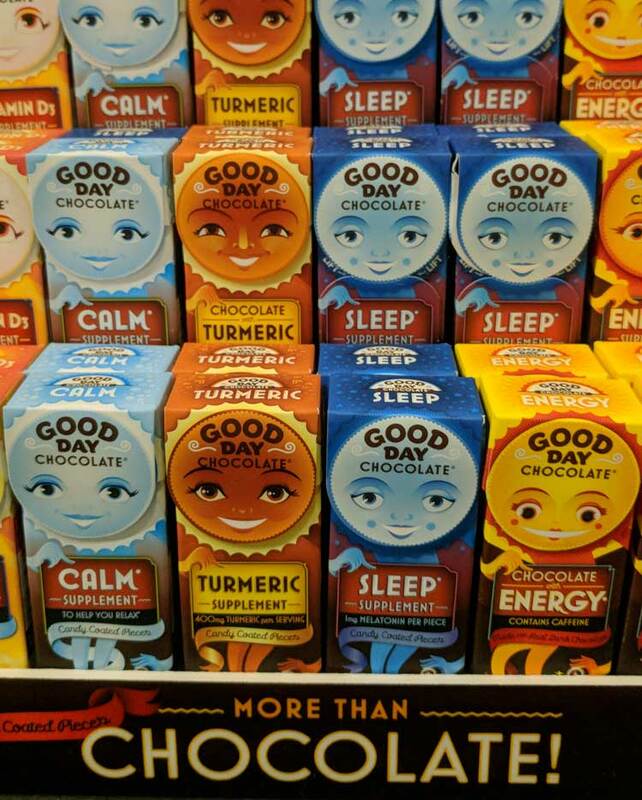 While I used to always get the Good Day Chocolates Original and Tumeric from the store, I am also now regularly getting the Calm. It works wonders – especially in the last few weeks – the holidays have been crazy for me at work! Anyway, during the evening at Good Day Chocolates Corporate Headquarters, we had a lovely dinner from Sprouts – thanks for catering, Sprouts! 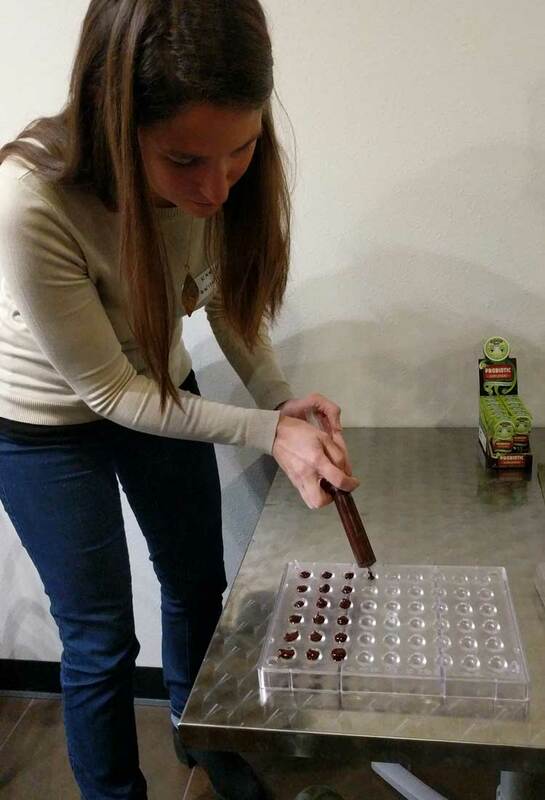 We learned about the founders of the company – both were present and told their stories of the rough beginnings where they were personally making the chocolates and often failing to make them perfectly circular – we had no idea that candy coating was such a precise technique! In fact, they wanted us to see for ourselves, and had the original mold to make the individual chocolates ourselves! So, we took turns filling the molds with chocolate. We had to carefully fill them using a medicine syringe! That wasn’t even the hard part! The real challenge was putting the two molds together to make the circular shaped candy! Well, Kelly from @NoThanksToCake stepped up to the plate and tried to put the two molds together. The outcome was more like a layer of chocolate in a sheet pan instead of individual balls! Whoops, we learned our lesson that it is not trivial to make these by hand! We might have failed at making our own, but we didn’t fail at making a huge mess. I wish I would have gotten photo evidence of the kitchen sink at the end of the night. Just imagine chocolate pots over the stove, plates, mixing bowls, stir sticks and all of our junk on top of that. I hate to think about how long it took to clean all of the chocolate covered kitchen supplies. Yikes! I have gained a whole new respect for the challenges that making this chocolate brought. 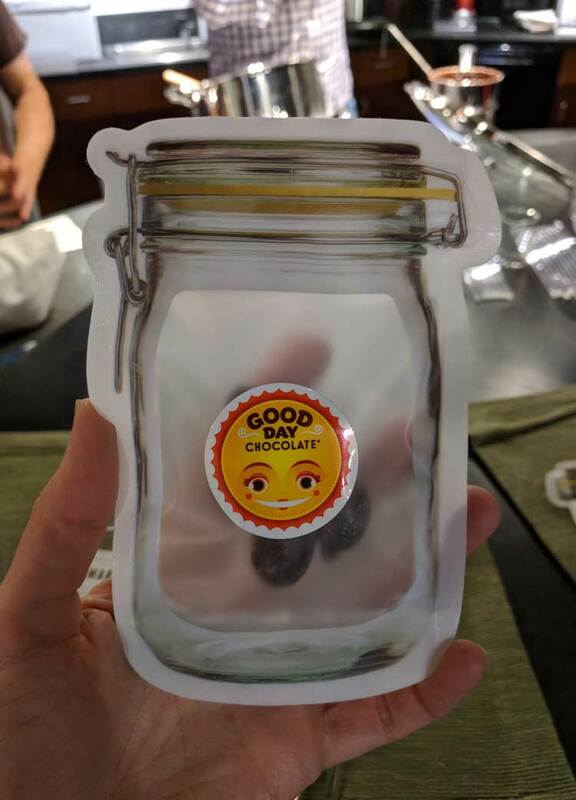 I am so glad that Andy and Simeon worked through them when they started this biz – because of their efforts, I get to enjoy Good Day Chocolates regularly! 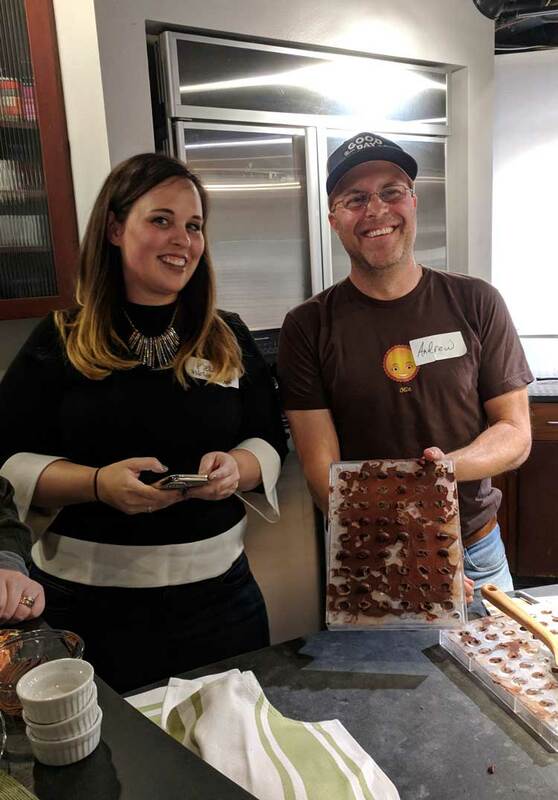 Overall, we had a blast learning more about Andy and Simeon and their medicinal chocolate startup company. From mixing and testing with friend and family – to now in natural food stores nationwide – including my favorite grocery store, Sprouts! 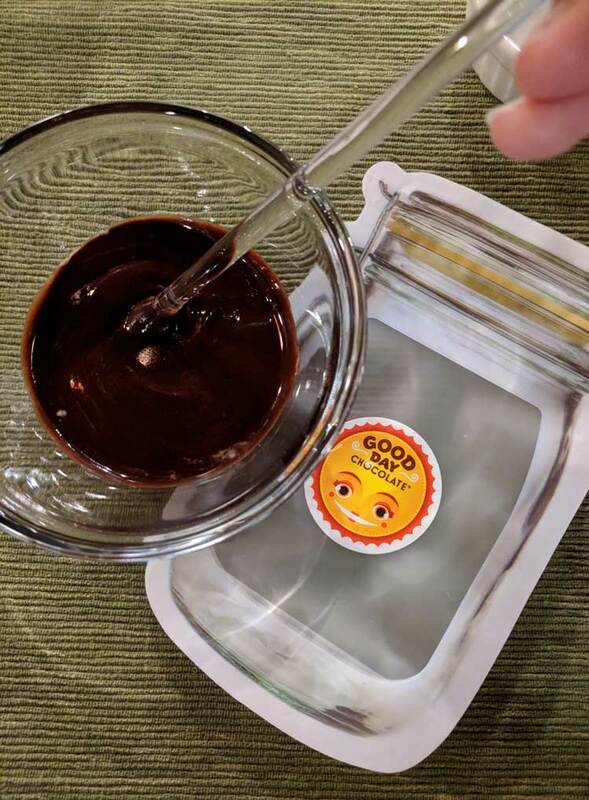 If you haven’t tried Good Day Chocolates there are so many reasons to love them. Perhaps the fact they are made with non-gmo ingredients, premium fair trade milk and dark chocolate and pharmaceutical grade nutraceuticals! Their newest Probiotic Supplement is jammed packed with 1 Billion CFU per piece! Now that’s something! 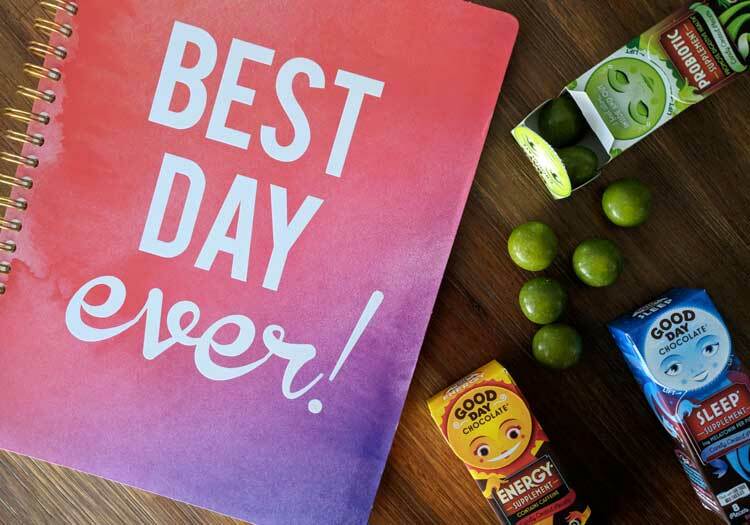 Shop for Good Day Chocolates online or at Sprouts. They make excellent stocking stuffers! This looks like such a fun event plus to experience this with other bloggers = double fun! I want to try all of their chocolates lol they look delicious. I hadn’t heard of this before so I really enjoyed reading through the post. Everyone loves chocolate so adding supplements to it seems like a great idea. I’m going to have to try the CALM variety when my kids are misbehaving and I’m about to lose my cool. It was nice you had a behind the scenes look and I appreciated sharing in the experience through this write up. Looks delicious and I am a huge fan of turmeric so will be on the lookout. 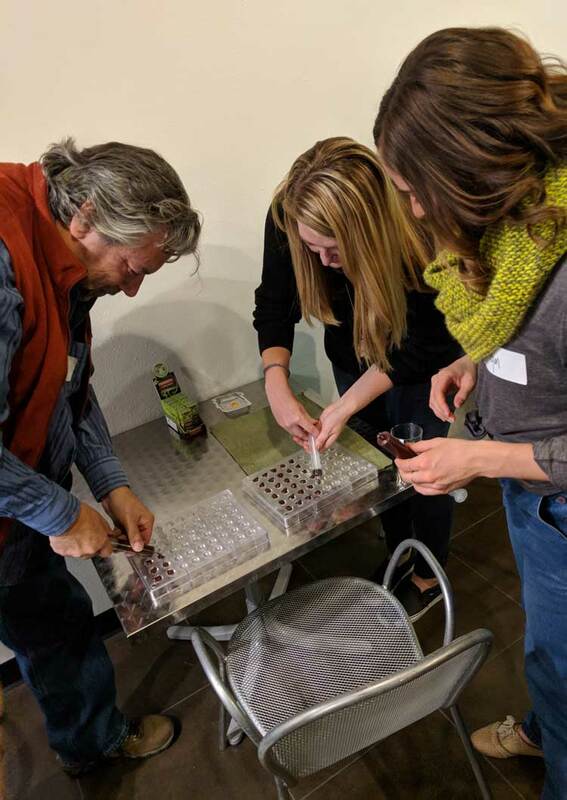 What a fun event…how lucky you were to go! Chocolate and vitamins!? This is genius. I want to try the turmeric one. I bet it’s got a little spice to it!